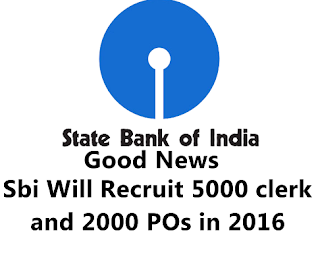 A very good news for the banking aspirants that SBI is going to hire about 5000 Clerks and 2000 POs this financial year by March 2016 . The notification will be soon available on the website of SBI. The bank will recruit 2000 probationary officers and 5000 clerk about 7000 vacancies. Arundhati Bhattacharya first women Chairperson of State Bank of India. State Bank Of India is an Indian Multinational, Public Sector Banking and financial services company. Its headquarters is situated in Mumbai, Maharshtra and also its corporate office in Mumbai too. SBI currently have 2 lakh employees with 13,000 branches along with 190 foreign offices having assets of US$388 billion which makes it largest banking and financial services company in India by assets. Previously SBI had conducted exam for the recruitment of PO on July this year for 2,393 vacancies. This year again SBI is going to open 700 new branches all around India. 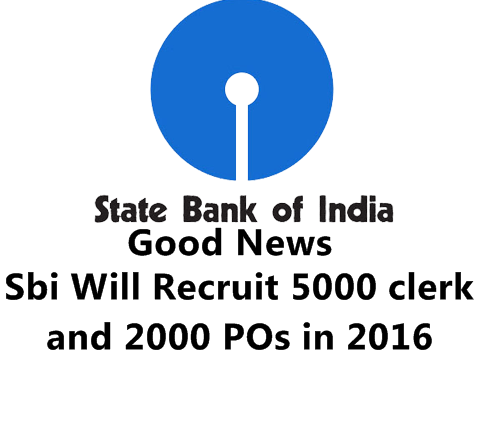 For these branches SBI will recruit Clerks and POs in coming year Best Of Luck. Keep visiting for upcoming good news. Nice post. SBI PO application form 2016 has started in online mode from 4 May 2016 for filling around 2428 positions. The last date to apply SBI PO and online fee payment is 24 May 2016.